South Mountain Post Acute is a modern, state-of-the-art care center, conveniently located on the South side of the Phoenix metropolitan area in the heart of South Mountain Village. 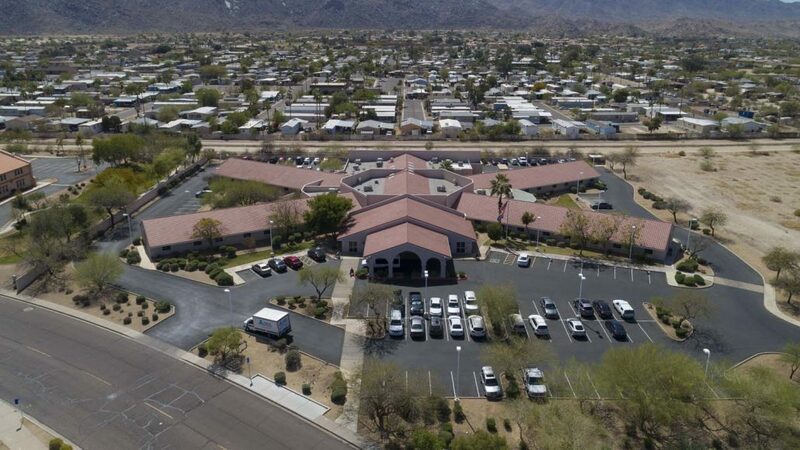 We are a short drive from many area hospitals including Phoenix Memorial Center, Dignity Health Arizona General Hospital, Maricopa Medical Center, and Banner University Medical Center Phoenix. We feature 124 beds and beautiful spacious rooms in either private or semi-private settings. Guests will enjoy well-appointed accommodations, a diverse activities program, nutritious satisfying menus, housekeeping, laundry services, and beautifully landscaped grounds.